How Do I Find a Good Support Group for Birth Mothers? One of the best things you can do to cope with grief after placement is to find people who know how you feel. Support groups can be a wonderful tool in helping your healing. Knowing that you’re not alone can make so much difference. But how do you find such a group? Here are a few resources. If you placed through an agency, reach out to them to find out what kind of counseling services they provide. Some agencies hold formal support groups, and others may be able to refer you to a group in your area. 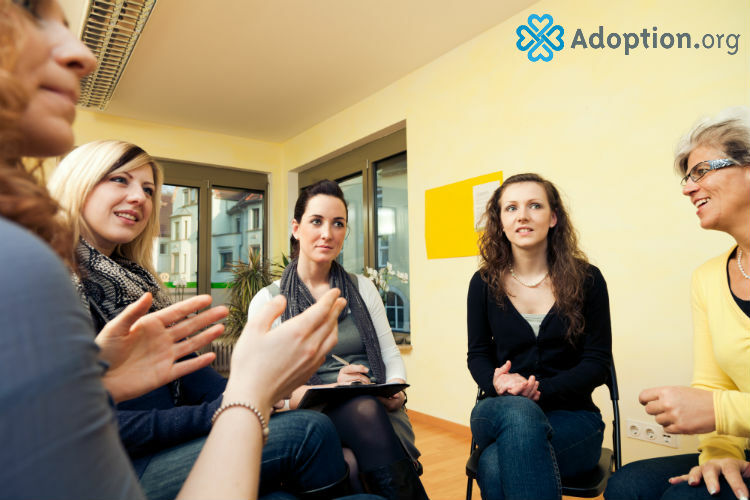 Not all agencies provide post-placement counseling, so you may need to find a support group through other avenues. Simply Googling “support groups for birth mothers” in your area may yield some results. Some groups advertise online with the time and location that the meetings are held. This is not highly likely, but worth a shot. If you can’t find an in-person support group, social media is the next best thing. There are dozens of Facebook support groups for birth mothers. Join as many as you like! Not all online groups are created equal. Some are quite positive and uplifting, but others are very negative. Don’t be afraid to leave a Facebook group and find another if it’s not working for you. Facebook groups can also make you aware of in-person groups in your area. If you can’t find a support group in your area, make one! You could make contacts with other birth mothers in your area from a social media group and decide to meet up in person. You could advertise on social media, or create a website. Chances are, there are more birth mothers in your area than you think. Connecting with other birth mothers can create friendships, healing, and support. However you do this — in person or online — you are making a healthy step toward managing your post-placement grief. For more information about adoption or counseling, visit Adoption.com.